Why use MLA citation style? MLA is most commonly used to cite sources within in the liberal arts, specifically the humanities. When you cite in MLA, you are using parenthetical citations for your in-text citations with the author and page number, and it includes a works-cited page at the end of your paper. Your works-cited page and your in-text citations should line up with each other - meaning that if you include an in-text citation, you will be able to find more detailed information about that source in the complete works-cited list. For example the in-text citation might read, "(Worsdworth, 263)" - indicating the author's last name, and the page used in the paper. Author Last Name, Author First Name. Title of the Book. Publisher Location: Name of Publisher, Year of Publication. The Purdue OWL is an amazing resource that gives great examples of how to cite different materials in MLA. Your citations in MLA will change slightly depending on the format of the work that you are using. Citing a book is slightly different than citing an article. The Purdue OWL: MLA Formatting and Style Guide is a wonderful resource that breaks down how to cite different formats in MLA. For more information, check out our citing sources guide. Why use APA citation style? APA (American Psychological Association) style is most commonly used to cite sources within the social sciences, also including mots hard sciences, psychology, sociology, and related disciplines. APA employs in-text citations and a references list. APA in-text citations also ask you to include the year of publication as well as the author's last name and the page number of the source that you are using. APA style has a specific formatting and style that requires you to include different elements in your work that a paper formatted in MLA would. The Purdue OWL guide for APA includes more information on citing different in formats, as well as a sample paper formatted in APA style. This is when you deliberately shape evidence to support your argument/agenda, and ignore information that supports the contrary. For example: You are writing a paper that argues that vegetarians are better athletes because they avoid red meat. There is information that supports your argument, but there is also a lot of information that supports the opposing argument. Without acknowledging that this other information exists, your work has a confirmation bias. Implicit bias occurs when someone consciously rejects stereotypes and supports anti-discrimination efforts but also holds negative associations in his/her mind unconsciously. In other words, the work may say one thing, but express another by reinforcing stereotypes and prejudices that otherwise would suggest a prejudicial bias on the behalf of the author. It's important to be able to discern the intentions of the author of any piece of information that you absorb. 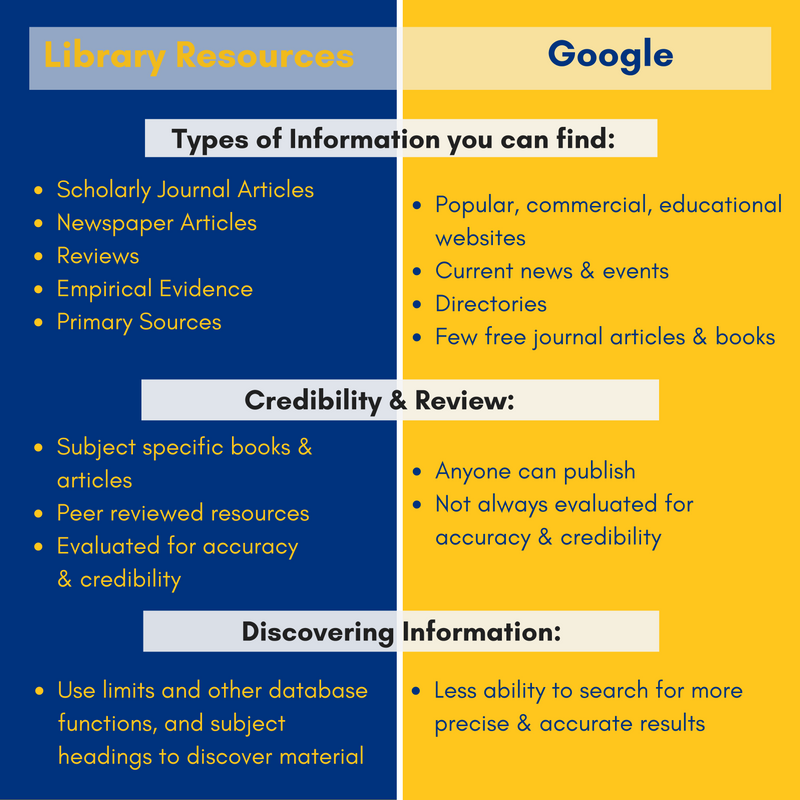 With resources like Google at our fingertips, information isn't hard to find. What is challenging is determining whether that information is credible, and can trusted. 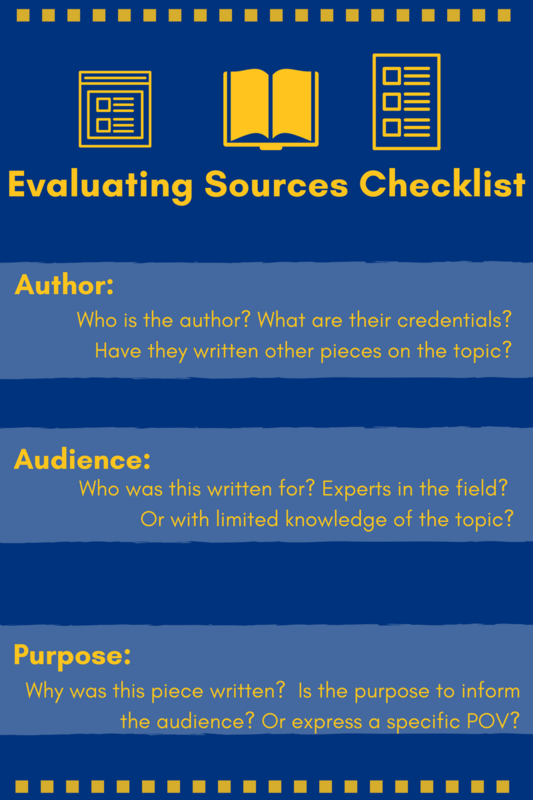 Web sources can be particularly hard to evaluate, so here is a handy acronym to help you determine if a source may be CRAP. CURRENCY: How recently was this information published/posted? Can you find a publication date? RELIABILITY: Is the information supported by evidence? Can it be confirmed by other sources? PURPOSE / POINT OF VIEW: Why was it written? To sell something? To sway opinion? Is it biased toward a particular point of view?